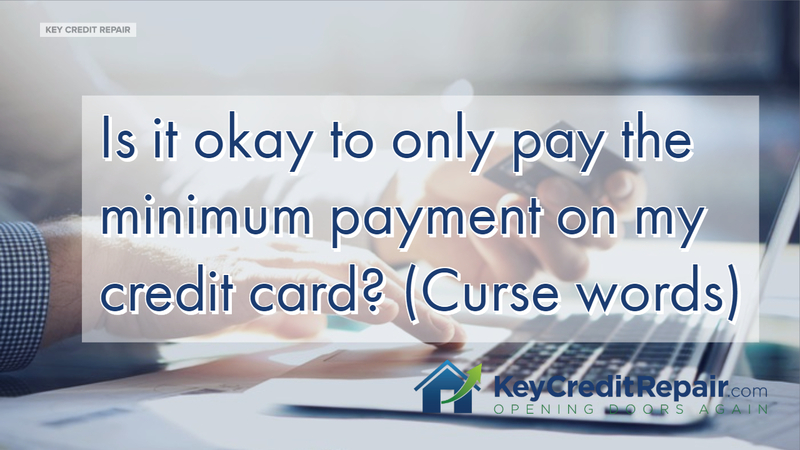 Is it okay to only pay the minimum payment on my credit card? 00:00 All right, guys. Credit question from Paige, Paige Majelki. I’m sorry if I butchered your name, Paige, and the credit question of the moment is, is it okay to only pay the minimum payment on my credit card? And, I’m going to give you- I’m going to- I’m going to use a curse word. Hell no. 00:19 Guys, if you’ve read the disclosure, if you’ve read your credit card bill, you’re going to see there’s a little disclosure box that shows how much you will pay back and how long it will take you to pay off a credit card, um, if you only pay the minimum payments. And, you know what the average is ladies and gentleman on a $2,000 credit card? 18 years. 18 years because you bought a coat. That’s insane. 00:45 So, the answer is hell no. Even if you have to send in a dollar extra, you need to do it guys. You cannot maintain these balances. You- You cannot send in the minimum. You can’t nurse these things. They’re not your friend. If you have too many credit cards or you have to list them out on a spreadsheet, you’ve got a problem. You cannot organize credit card debt. It’s debt. It’s the devil. Get away from it ASAP.